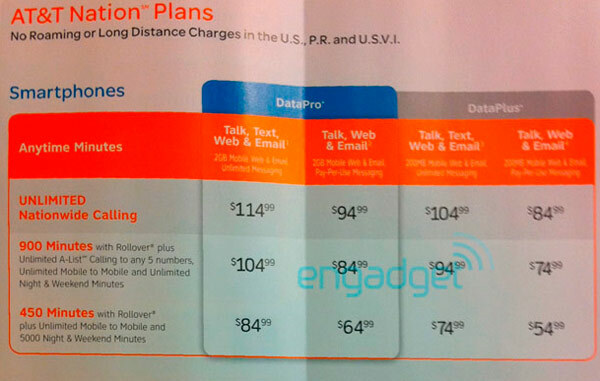 Engadget reports AT&T is set to narrow its plan offerings by combining the new ‘Data Pro’ and ‘Data Plus’ with new calling plans. Essentially, the difference between each respective plan is the higher end gets unlimited texting while the cheaper goes the ‘pay-per-use’ method. The spy shot below explains everything else. Engadget has more pics for you to enjoy.